A female cyclist and a car collided with each other on Croydon Road vs Nicholas road yesterday morning. The cyclist sustained leg and arm injuries and was taken to Croydon University Hospital. This stretch of road was changed several years ago. A two-way semi segregated, not maintained, cycle path was put next to the west bound carriageway. The road was narrowed by a series of pedestrian islands put between the two lanes. It could have comfortably stayed as a normal road and had a cycle lane on each side of the road. 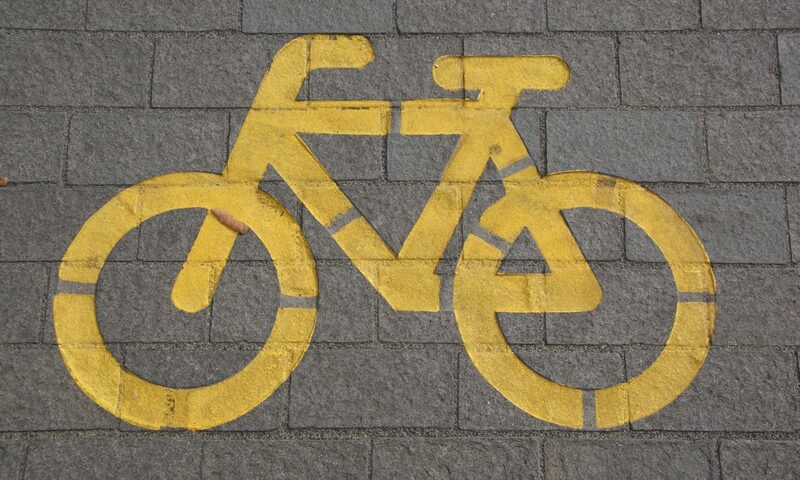 As a result bicycle traffic travels in two directions and goes across several junctions. Drivers pull out of these junctions but are often not used to looking both ways when crossing the cycle lane and as such if you travel east on this section of cycle lane then you need to be very careful as drivers will not look in your direction and will pull out straight in front of you. The route as a whole makes little sense as there seems to be no reason to have the east bound cycle traffic on that side, there are no shared used pavement areas at either end. This makes joining or leaving the east bound section very tricky. Due to its use only by cyclists (this route is not one of the popular routes for cyclists) and it’s cleaning by the council at the bare minimum. It is full of stones, glass, shredded tyre and various other rubbish that is thrown from the road by the tyres of motorised vehicles. It really is an unpleasant and an avoided cycle path. I suspect just another section of cycle path that Croydon Council can mark as installed for the year. I wish the cyclist in question a full recovery from the RTC. I may just have to contact Croydon Council and see what went into this cycle lane and if anything is planned, as it really is a nightmare. How about writing “a car collided with a female cyclist”? Small change, but you’re version makes it sound like the cyclist was at fault. How about writing “a car collided with a female cyclist”? Small change, but your version makes it sound like the cyclist was at fault. You’re right, it’s not correct, i have amended it to read better and appoint blame towards no one. As this is a red route, it falls under TFL, not Croydon Council. One for Boris. Man, I am so glad I do not live in Croydon. That shared use and cycling towards oncoming traffic looks very hairy! Would love to meet the muppet that designed it. I suppose at least they are doing somthing, but looks very dangerous the way that is set up to me. Please let us know how the lady is if you hear anything. I have seen that cycle “path” as I’ve driven along there but never had cause to use it. Always struck me as a little weird to have both directions on one side of the road. As you state it causes numerous conflicts at the various junctions meet and cross it (even though the cyclelane has priority with the giveway lines). The signage is extremely poor and downright confusing and it just leaves you in a bit of a pickle if you want to use it in the same direction you are headed in the video. Cycling against the traffic just seems wrong, especially at night when there are parked cars! Road debris always ends up in the cycle track or share path. I have even jumped in my car at the weekend and swept up on the shared path I use. 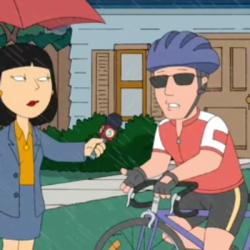 Boy, that is a pretty worthless bike lane. In that situation I would have likely used the traffic lane instead. As regards ” It is full of stones, glass, shredded tyre and various other rubbish that is thrown from the road by the tyres of motorised vehicles”, you don’t know how lucky you are! One day you should come out to the West Country. I use a shared-use path alongside the A369 to commute to work (from Pill to Bristol) and pretty much every morning I have to stop and move large stones which have fallen out of walls, slalom around piles of leaves which could hide who-knows-what etc etc. It also crosses several exits from sports centres and houses which set the ‘give way’ back so that cars are supposed to give way to bikes on the cycle path (although they very rarely do, usually sitting right across the cycle path to get out onto the main road and just looking at cyclists with a shrug and an apologetic expression…).